The sea otter (Enhydra lutris), a member of the weasel family, is the smallest marine mammal in the world and spends most of its time in the water. 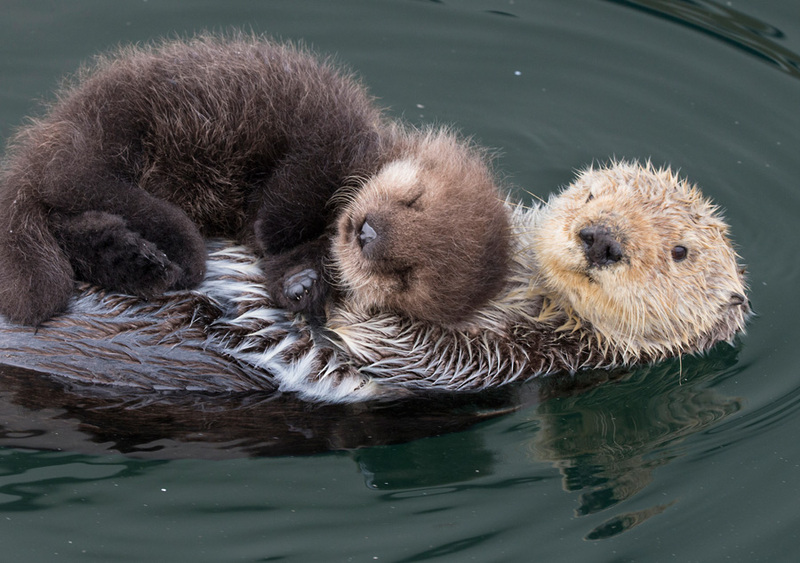 Sea otters eat, sleep, and nurse their young while floating on their backs. Their thick, waterproof coats keep them warm and dry. Sea otters are protected by the International Fur Seal Treaty of 1911 and the US Marine Mammal Protection Act of 1972.